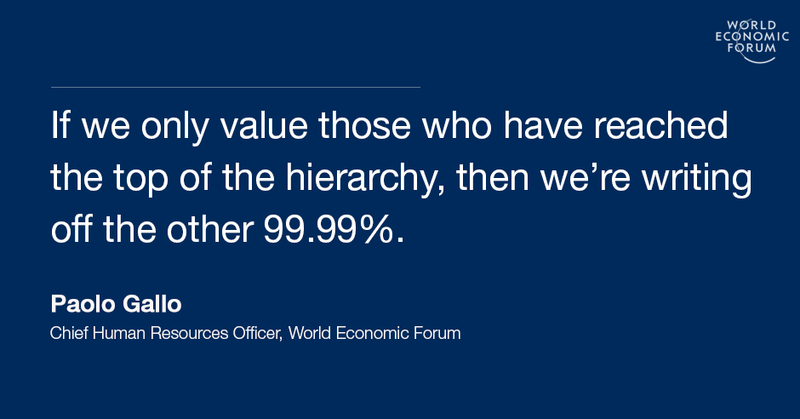 If we only value those who have reached the top of the hierarchy, then by definition we’re writing off the other 99.99%. First, let’s start with one over-arching question: what is a successful career? It's time to move away from the idea of success defined by an organization or your supervisor, to significance defined by us. Relentlessly grasping after the next rung of the ladder doesn’t work, for the following three reasons. First: If we only value those who have reached the top of the hierarchy, then by definition we’re writing off the other 99.99%. We create a cruel assembly line that produces myriad people who are frustrated and unhappy, who believe - often wrongly - that only those who arrived at the top truly triumphed. Second: By seeing our careers as a race, we enter a state of constant struggle, pitting "us" against everyone else. Think, for example, about incentive systems: I have seen many and - mea culpa - designed some that are focused on individual performance results, but never based on sharing, cooperation or a sense of purpose. I believe that stress is not linked solely to the amount of work we have, but rather on the poor quality of the relationships we develop with our colleagues. An organizational climate of “dog eats dog” downgrades our relationships, so they become only transactional and utilitarian, losing any trace of connection between people. This obsession with appearance over substance strips us of our humanity. Third: we all end up taking part in a rat race. We became so self-absorbed and busy trying to win this race that we forget that even by winning it, we will still remain rats. And not just rats, but vulnerable rats: the chronic economic crisis, corporate restructuring and a whole slew of other circumstances beyond our control can all oust us from our jobs. If corporate success is the only way you define your identity, then that identity can be easily destroyed, with all the emotional and social consequences that result. Instead of endlessly rushing through our working lives, we need to stop and consider the questions that will help us truly get the best out of our careers. 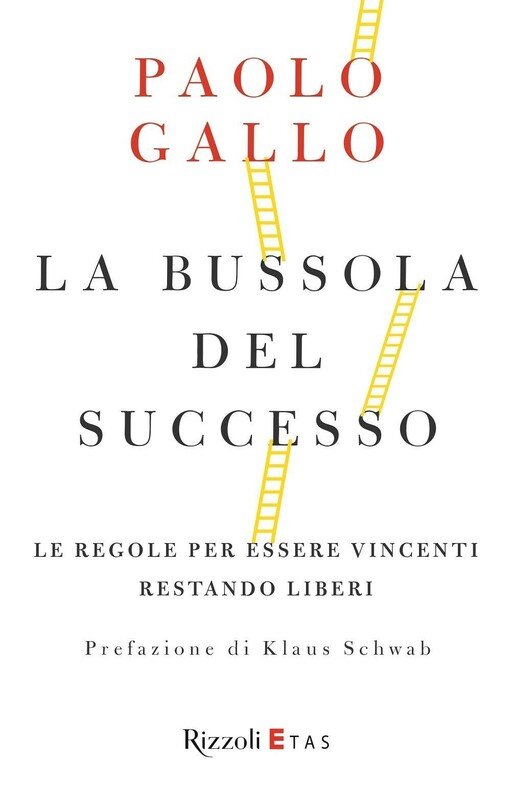 In my book, “La Bussola del Successo” (the Compass of Success), I have identified 10 powerful questions that, in my view, provide a means to guide yourself to a more meaningful career and will help you to totally redefine what real success means. 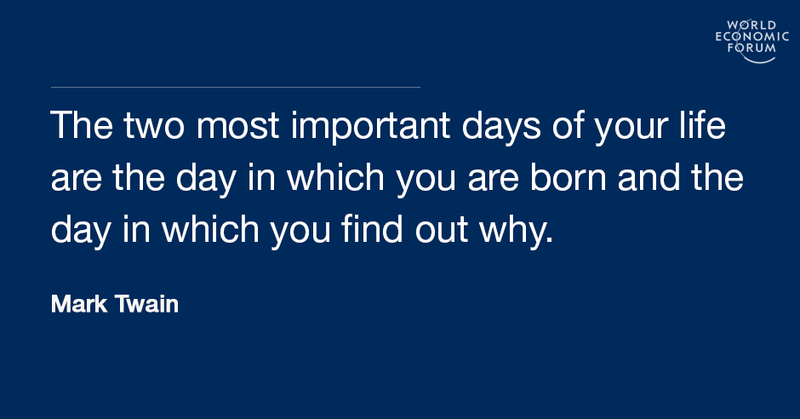 The author Mark Twain once wrote: “the two most important days of your life are the day in which you are born and the day in which you find out why.” You therefore need to ask yourself the following questions. What is your real purpose? Why are you here, doing what you’re doing right now? A very common mistake is to confuse purpose with objectives or goals. Purpose is, for example, to become great at what you do, while a goal is to be promoted or to accomplish a task. Accomplishing many tasks cannot sum up to a meaningful purpose. Other people and external circumstances can all bulldoze their way through your goals and objectives; but they cannot destroy your purpose. We are all purpose seekers: what is yours? Here’s a hint: a meaningful purpose is one that is bigger than you are, and it is related to a cause and a mission that you deeply believe in. Think about it: do you want to be a missionary or a mercenary? 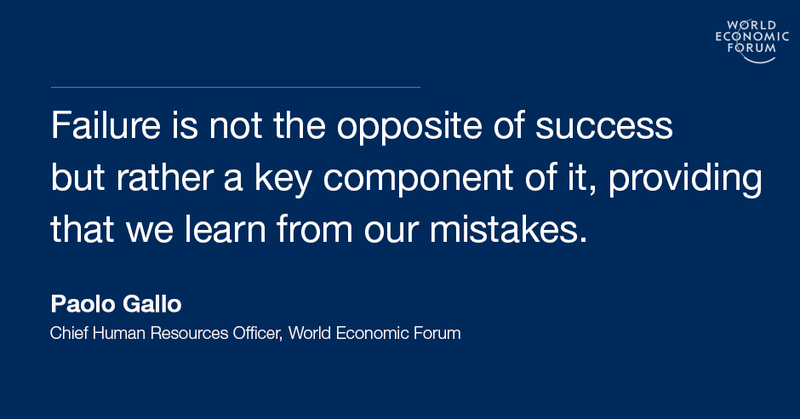 Focus on sustainable impact, not short-terms results. After 20 years as Head of Human Resources in several organizations and countries, I have learned that everyone has a talent, a true treasure inside waiting to be discovered. But discovering your talent it is not enough: you need to relentlessly use it and improve it. Talent is overrated; it plays only a minor part in our success. Success means a constant effort to improve and a refusal to tolerate mediocrity. Your real strength is therefore your talent multiplied by the effort you have invested in developing it. As the saying goes, success is 10% inspiration and 90% perspiration. Think about the athletes at the Olympics: the few seconds or minutes of their performance are only the final reflection of years, if not decades, of efforts, sacrifice and small improvements. When Flavia Pennetta won the US Tennis open at age 33, a journalist told her: “The last shot was a stroke of genius”. “Genius? I have worked 20 years on that shot,” she replied. Michael Phelps has entered legend by winning 23 gold medals, a feat of astonishing perseverance that cannot be accomplished by raw talent alone. 3. Can you manage your ego, and build bridges not walls? Ryan Holiday, the American author and entrepreneur, goes as far as to argue that “ego is the enemy”. So the question is: can you manage, and possibly even kill, your own ego? Can you suppress your pride, your propensity to take credit and your craving for the spotlight? Can you really listen to other views, not because it’s the done thing, but because you actually care? If you keep answering no, you’re afflicted by what the Ancient Greeks called “hubris”: the dangerous overconfidence of being right while everyone else is wrong. So many political and economic downfalls were built on the faulty bedrock of hubris. If we return to the Greeks, then hubris always led to the unfortunate appearance of Nemesis, or divine retribution. Before disaster strikes in your career, you need to build bridges and destroy walls to constantly connect with other people, as you will never be alone on your journey. 4. What is the opposite of success? 5. How can you understand the complexity and the culture of your organization? You don’t need to be an expert in organizational behavior, but you do need to fully understand the culture of the company we work for. You need to understand its important norms and rules, most of which are not written or explicit. If you do not understand them, you will be eaten by the locals. My book provides simple and practical tools to “decode” organizations. One example: look at the people at the top of your organization. How did they get there? Merit, competence, integrity, results? Or some other factor? You should look at the narrative which unfolds when you observe who gets to the top. 6. How can you build trust? Building trust is a central theme among people, organizations and societies and it is something you construct with time and hard work. Your reputation is going to be a pillar of your career. So how do you build your reputation? Character, credibility, being there when you are needed, competence, reliability, results, integrity: all of these count. Arrogance and conflicts of interest, whether real or perceived, are both corrosive to trust. Remember: candidates may be recruited for their qualifications, but people are promoted mainly based on trust. 7. How do you handle difficult choices? In your career, you will have difficult choices to make, what I call “courage of your convictions moments”, when technical skills will not be enough to help you find the right path or the best solution to a thorny problem. It will be therefore be a question of character. History shows us where blind obedience to authority, at its most extreme, can lead, while psychology shows us how hard it can be to say no. The Milgram experiments notoriously revealed that volunteers were prepared to give people electric shocks on command. Refusing to follow orders is a potent asset in your career. You should never lose sight of your convictions. Throughout your career, you will deal with many difficult circumstances: they may not change you, but they will reveal who you are. 8. How many lenses do you use? I once went to a presentation given by a famous photographer. He showed us some pictures from a Caribbean Island: they were truly nice images but a little bit boring, kind of postcard-style and predictable. Then he showed us some other pictures: they were taken in the same place, but looked totally different: the light, the perspective, the colours, everything. He told us that, in the first set of pictures, he used the same lenses, while he used many different lenses and angles for the second set. This is what diversity means to me. You need different lenses to see reality from different viewpoints, and to avoid the tempting idea that only you have the right perspective, that only your ideology is correct. Taking the idea of lenses and applying it to the workplace helps you to understand complexity, connect the dots and appreciate different perspectives. This has never been more important, at a time when we need to build bridges of tolerance and inclusion to counter those who seek to build walls between countries, ideas and people. Diversity is an immense wealth. While organisations like the World Bank are finding ways to measure diversity and foster it, countries like Canada see diversity as a crucial part of their culture and a pillar of their prosperity. 9. Are you a learning machine? Learning never stops. In 1938, Ingeborg Rapoport had just finished writing her thesis in medicine and was about to become a doctor when, because of the odious racial laws passed by the Nazi regime, she was denied the qualification because of her Jewish heritage. She emigrated to the United States, where she continued her studies in medicine, working in many hospitals as a pediatrician and neonatologist before returning to East Germany in her fifties, where she founded the first clinic of neonatology in East Berlin. In 2015, the University of Hamburg decided to remedy the injustice and, after 77 years, she defended her dissertation of 1938, and obtained her degree at the age of 102 years. For her commitment to learning and fighting this injustice she is one of my heroes. Become a learning machine, enjoy successful failures and don't stop learning, even when you are 102. Let's invent the future by investing in our learning. It will be - most of the time - a joyful journey to freedom, as whatever happens in the office, nobody can take away what you have learned. 10. Do you love what you are doing? A little while ago I was in Antigua, Guatemala, one of my favorite places on the planet. I fell in love with the watercolors of a street artist called Gerardo, who was working around the clock to produce wonderful landscapes. I wanted to buy one of his works of art but he had none left, except the one he was working on, which was unfinished. As I was leaving the country, I could not wait, so I insisted on buying the watercolor and asked him for a discount, since it was not finished yet. Gerardo asked me for twice the price he normally charged. I was surprised and somewhat upset; and asked him why he was charging me double for something incomplete. Gerardo replied: “Because you're taking away from me the joy of doing something I really love.” I paid him what he asked for, knowing that I got a priceless lesson in life. If someone has to pay you to stop doing something, you really love what you are doing. I hope that my book will transform your understanding of a successful career, dismantling the idea that there can only be a few winners, and most will lose. A successful career is something profound, meaningful and relevant – for all of us, not just a select few. In the midst of the Fourth Industrial Revolution, in an age of radical transformation and technological upheaval, we need to anchor our working lives and our identity to our values. The Compass of Success helps us to pause and reflect about who we are, what we stand for and how we can have a successful career that is filled with purpose, integrity and passion.